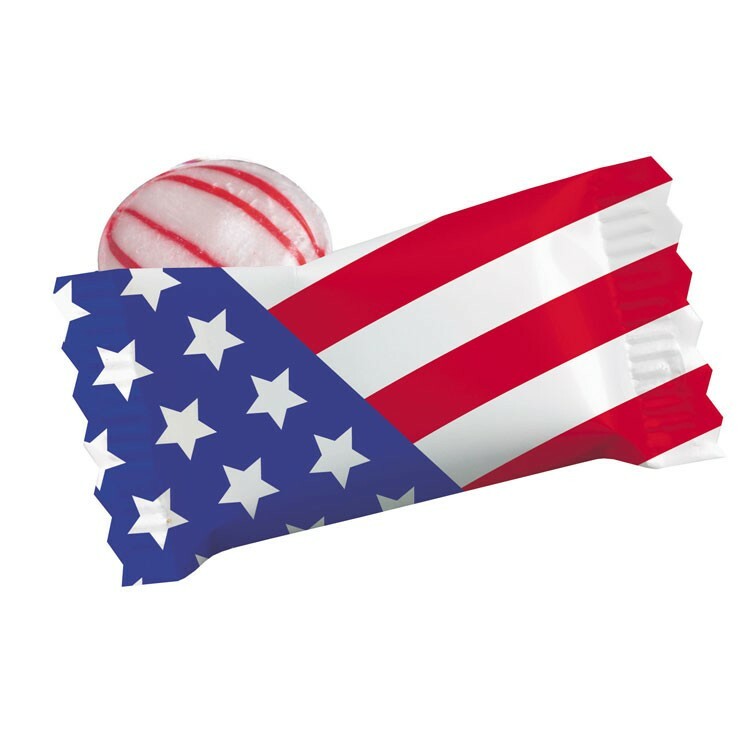 This stock White wrapper comes with a Red and Blue US Flag imprint. Filled with Red Striped Peppermints. Choose from our variety of stock candies and wrappers. Perfect for parades, weddings and restaurants.